Wedding clients are becoming more eco-conscious, and as such they are looking for affordable green solutions for their big day. 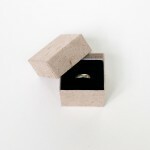 Many wedding supplies are designed to be disposable and as such may not be eco-friendly, so how can you help the bride and groom begin their sustainable future together? Begin With Tree-free Invitations. Suitable for calligraphy, and laser or inkjet printing, Distant Village Natural Handmade Wildgrass Hemp Paper is a beautiful and sustainable solution for save-the-dates, wedding invitations, and other wedding needs. 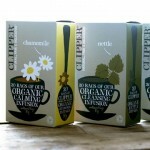 Interested in finding a new, fresh & easy natural look for your packaging? Need it to be affordable and high quality? Available immediately? 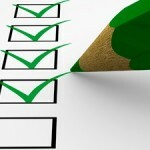 As a companion to the Buyers Checklist for Adhesive Labels, here is a quick and easy-to-use checklist for sustainable paper packaging. Use this concise guide when sustainable or eco-friendly packaging is important. 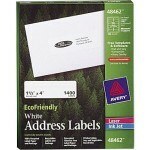 Q: Are 100% Recycled Paper Labels Really Eco-Friendly? I received a call from a person asking whether 100% recycled paper or Kraft paper labels were the better eco-option for their adhesive labels. The answer was “No”.